As we are often reminded in our daily papers, average life expectancy has been rising, which is partly why the State Pension Age is being moved up to 67 for men and women by 2028. The State Pension also changes to a single-tier basis effective from April 2016, with an initial full rate of £155.65 a week. Reduced reliance on the State Pension is linked to the rollout of workplace pension auto-enrolment, with millions of employees getting on board. This is a useful development, but may still not produce an adequate retirement income, particularly if you are in the later stages of your working life and do not want to use your right to work past 65 or so. Workplace schemes, unless they are final-salary based, involve building up a pension ‘pot’ that will produce income in retirement. 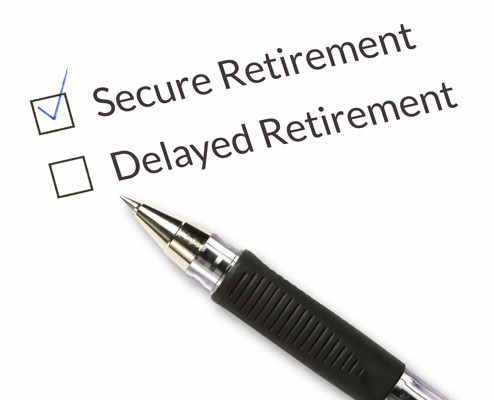 Until April 2015, it was widely believed that you had to buy an annuity, which would provide an agreed income for life. New pension freedoms mean you can now keep your pension funds invested and draw income flexibly when you want. Current HMRC rules bring you the advantage of tax relief on pension contributions, up to specified annual and lifetime limits, whether a workplace scheme, a personal pension or one of the self-managed schemes such as a self-invested personal pension (SIPP) or a small self-administered scheme (SSAS). To get the best from tax concessions and the new pension freedoms, take early advice from a specialist.